Many Internet browsers give you an option to open a new tab next to the current one. 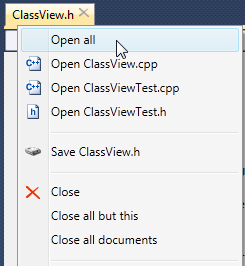 If you like this behavior you can now have it in Tabs Studio with the new OpenNext add-in. OpenNext doesn’t have any options and just changes default placement for a new tab from the right end to the right of the active tab. 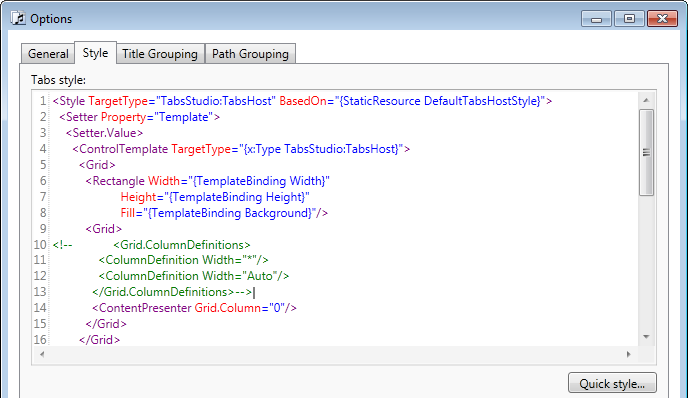 Internally, the void UpdatePresentationStyles(string key, Presentation presentation) method was added to the TabsStudioExt.ITabsStudioEngine interface. It is possible to update styles dynamically, but right now SingleRow and Shaper do it only once in the OnConnection handler. 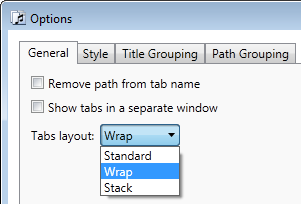 The style parameter in the Presentation constructor can also add static resources for use in tab coloring rules. Theoretically it may be a custom brush or a generated color. These changes are included in the upcoming Tabs Studio release. When you open the color picker dialog, a color under the caret is loaded as the current color. After you select a new color in the dialog it overwrites the old color in the style editor. 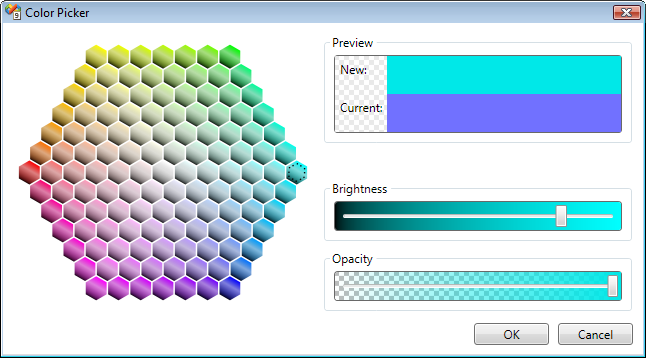 You can open the color picker from the editor toolbar and with the Ctrl+P keyboard shortcut. Out of the box AvalonEdit supports XML syntax highlighting, line numbers and block indent (select several lines and press Tab of Shift+Tab). I’ve also added the Ctrl+OemQuestion keyboard shortcut to comment and uncomment selected text. 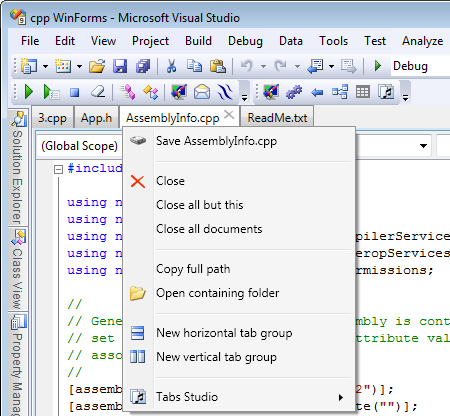 AvalonEdit is easily extensible – more features like code completion and folding can be added later. 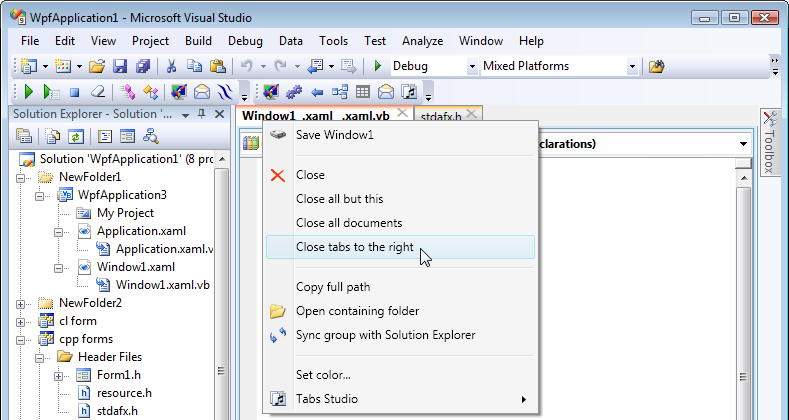 Or completely different style editor control can be added to Tabs Studio in a separate add-in. 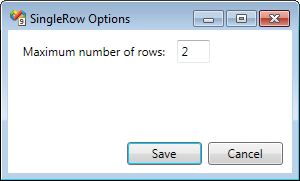 This style adds the TabsStudioSingleRow:HiddenTabs button to open the drop-down list and binds it to the corresponding TabsPanel. SingleRow doesn’t actually hide tabs – it only sets the IsTabHidden property for them. The style above sets tab visibility based on this property. HiddenTabs button’s appearance is also defined in this style and the button is collapsed when there are no hidden tabs. Tabs are hidden in the least recently used order and don’t automatically reappear even when space becomes available. Hidden tabs in the drop-down list are sorted alphabetically.